Brilliant info showing all the options. Thanks heaps. Lots of good info here.. Couple notes I’d add. There is an intermediary service between Iridium Go and KVH.. Iridium Pilot/OpenPort is way faster than the Go, but not as fast as the KVH. 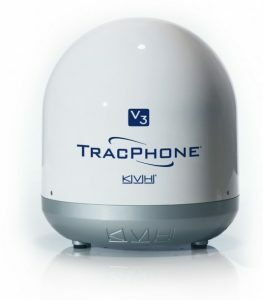 It’s about 128kbps, but works everywhere like Iridium Phone and Go. If you are already limiting bandwidth use to 64kbps, the Pilot/OpenPort might work fine when you venture outside the KVH coverage area. 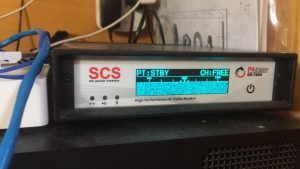 The equipment is also far less money than the KVH, and it’s solid state so no moving parts to damag underway and no requirement to keep it powered up when not in use. We have the Pilot system but haven’t started using it yet. I’ll post about my experiences with it once I get it into use. If you are burning 1GB/month (250MB/week) then Pilot is about the same $1/MB price as KVH. Second, Iridium’s satellite network is a mesh that covers the entire globe at all times. There is always a satellite overhead. Their SatPhones, the Go!, and the Pilot are always connected to at least one satellite and hop between them like cell phones do with cell sites, as the satellite move overhead. 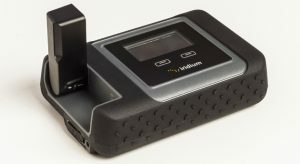 The InReach device’s inherent delay is mostly due to design of the device, it does not maintain a satellite connection at all times (better battery life and reduced load on the Iridium satellites). 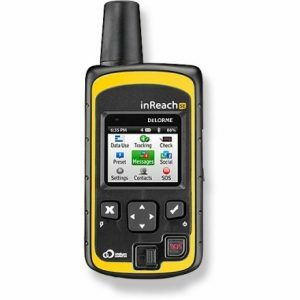 The InReach queues outbound messages, and the InReach servers queue inbound messages, and the device connects every 10 minutes or so to send and receive these messages. So it’s not necessarily waiting for a satellite to be overhead, it’s just lazy about connecting (by design). 1.) If you make a WiFi Call (from anywhere) it’s treated as a domestic call (non-roaming) and effectively resets the 2 month roaming timer. Anyway, thanks for all the info, it’s certainly helpful, and hopefully some of what I posted here can help others as well. After the abysmal speeds seen on the GO! I had to take several looks at the pilot. I spoke with folks on the dock that had the flying saucer on their afts. I then looked at some technical documents on the . Technical specifications & FCC certification documents state that Pilot consists of 14 multiplexed Iridium modems of 2.4 kbp/s bandwidth. 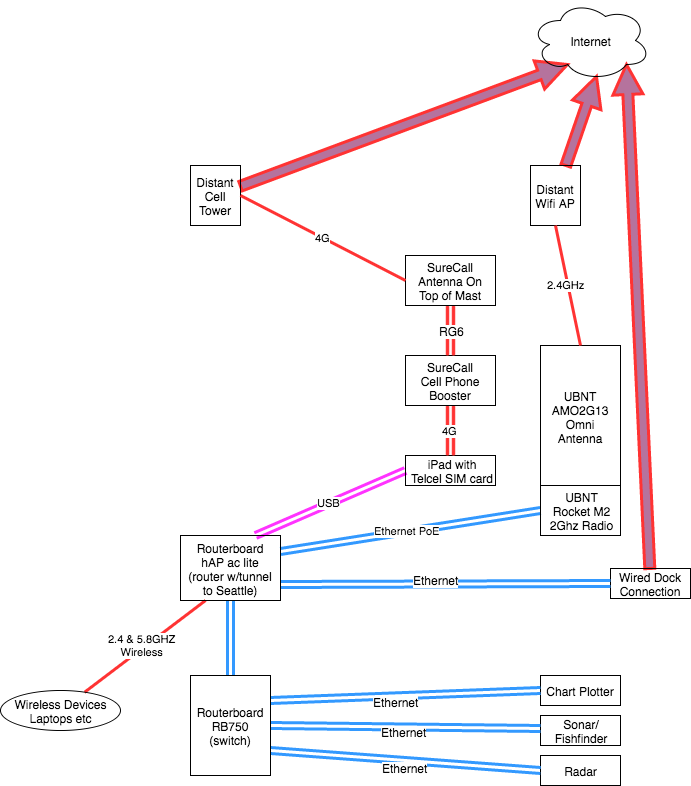 Max possible bandwidth assuming multiplexing is 100% efficient would be 33 kbp/s. Numerous studies confirm multiplexing technology used for Iridium modems ~ 90% efficient. Realistically, bandwidth is no more than 30 kbp/s. Regardless of the system chosen, weather and email at sea is pretty much PRICELESS! InReach queueing – You are the best kind of correct. Technically correct. Seriously the best post I have seen on the subject. Really appreciate the effort you have gone to. One minor comment – the iridium satellites are in low earth orbit, so the delay you are noticing isn’t the same delay you noticed when you were calling Grandma over a satellite link back in the day. The actual earth to space link with Iridium is something like (2,000 km) / (3×10^8 m/sec) = .006 sec (one way). (Did I get that right?) Anyway, the delay is due to the fact than iridium then does a store-and-forward from satellite to satellite and then down to one of the earth stations and from there across terrestrial networks to the destination. The low earth orbit is the reason you can reach these satellites without a directional (dish) antenna and/or huge amounts of power. And the fact that these satellites are not in geostationary orbit (over the equator) means that it still works near the poles. True, there is a slight delay for the store and forward of some of the voice packets. We have found these storage buffers to be so small that any call over 4.5 minutes tends to peter out.